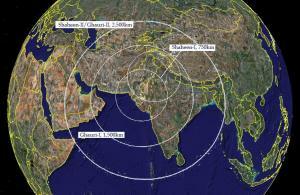 The Asian defence News Blog: Pakistan’s Nukes... What are "they" upto? Pakistan’s Nukes... What are "they" upto? On 8th January 2009 an important Indian Atomic scientist suddenly disappeared. 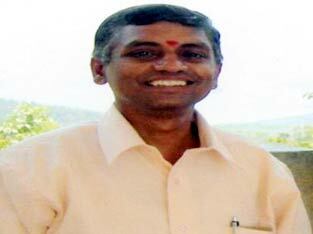 At the time of disappearance “Lok Nath Mahalingham” was working in Kaligah Nuclear Power Plat Karnataka. Before he was working on Madaris Atomic Power Project near Chennai two years before he was transferred to Karnataka Power Plant after a scandal of Uranium theft was unveiled. IAEA has complained against him. America has also informed India that Indian scientist is smuggling enriched uranium through Nepal. However has done nothing except transferring him from one nuclear plant to other plant. After civil nuclear deal between USA and India, disappearance of a nuclear scientist in his own country was important news. But silence of India and US over this matter is of greater importance. Astonishingly the dead body of Lok Nath was found after six days on the bank of River Kali, but America and India did not react over it. Indian govt. just got contented on a press release expressing possibility that Lok Nath might have been killed by terrorists or factions active for separation. There are two suspicious aspects of the murder of Indian scientist; First, separatists are so much organized and powerful that they can easily kidnap and murder such an important personality (Possibly India has unintentionally admitted for first time the presence of separatists), Second important aspect is about media, that why on such an important matter Western and American media had been silent? Just only for that Lok Nath was allegedly involved in supply of enriched uranium through underworld? Moreover after civil nuclear deal with India this news could have created problems for USA. Then India itself is involved in murder of its scientist or America has assassinated him and advised India to keep silent. Then in such a situation what is crime of Pakistan, why western media has objection over Pakistan’s Nuclear Capability? Enemies of Pakistan are against Pakistani Nukes right from the start and after Pakistan has successfully acquired nuclear technology their conspiracies have increased. But shameful fact is that our own people are equally involved in these conspiracies, at least why? After sending spy satellite to space with the support of Israel, India has also bought AWACS from Jews. In order to tackle lawlessness on western side Pak-Army is busy on Afghan Boundary and tribal areas. In such situation US says India is not Pakistan’s enemy. Suddenly India has started talking about withdrawal of troops from Held Kashmir. Through bans on freedom movement of Kashmiri people from UNO, India has already paralyzed it. The moral and legal right Kashmiri People for freedom is not accepted by world and especially USA. What else India needs? It will transfer 700,000 troops from Kashmir to Pakistani boundary. After this in Delhi or any other major city the staged drama of terrorism will be enough for Indian attack over Pakistan. In such situation while Pakistani economy is already pledged by IMF and World Bank, how longer Pak-Army will be able to fight on two sides? Under these conditions, Pakistani nukes can deter any adventurism from Hindu Brahmans. Consider objections in the backdrop of these circumstances; is it not clear that after defeat in tribal areas enemies are trying to dispute Pakistani nukes? Criticism of Pakistani nukes on international level is not new, Pakistani intellectuals and analysts have started a new discussion while Pak-Army is facing so called Islamists supported and organized by few powers of world. They are objecting that Pakistan should not have conducted nuclear tests. A poor country like Pakistan does not need nuclear weapons. So called champions of free media, two private TV channels have even got such statements from their guest speakers, “This nuclear capability is cause of all the problems of the nation. If we had spent our wealth and energies for development in spite nuclear weapons, today Pakistan has been amongst the list of developed nations”. “General Zia-ul-Haq arrived in Delhi for cricket match as a spectator without any invitation. At that time Rajeev Gandhi was not ready to meet him at the airport. Indian troops were waiting for the PM’s orders on the Rajasthan sector to invade into Pakistani territory. In such situation it was improper to meet General Zia-ul-Haq. But opposition leaders and cabinet members were of the view that if arrived Pakistani leader has arrived in delhi without any invitation (from here he had to departure for Chennai for cricket match), it will against diplomatic values not to meet him and will cause misunderstanding about Indian leadership on the international level. On our demand Rajeev Gandhi got ready to go to Delhi airport, he coldly shaked hands with General Zia-ul-Haq without making any eye contact. Rajeev said to me, “General has to go to Chennai for cricket match, so accompany him and take care of him”. 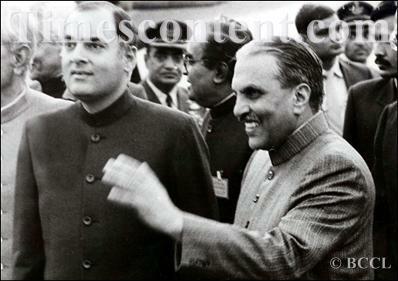 Bhagwan knows how strong was that man, in spite of insulting behavior of Gandhi, Zia kept smiling. Before departure for Chennai General Zia-ul-Haq while saying good bye to Gandhi said, “Mr. Rajeev you want to attack Pakistan, do it. But keep in mind after this world will forget Hilaku Khan and Changez Khan and will remember only Zia-ul-Haq and Rajeev Gandhi. Because this will not be conventional war but nuclear war. Possibly whole Pakistan might be destroyed in this was but Muslims will be still there, however after destruction of India, Hinduism will be vanished”. In spite of cold drops of perspiration were visible on Gandhi’s forehead. I felt sensation in my backbone. These were only few moments when Zia-ul-Haq looked a dangerous man, his face was stern his eyes showed that he will do whatever he is saying no matter whole sub continent is burnt to ashes in nuclear war. I was astonished, after warning, in the blink of eye Zia-ul-Haq brought his smile; he warmly shook hands with other hosts. 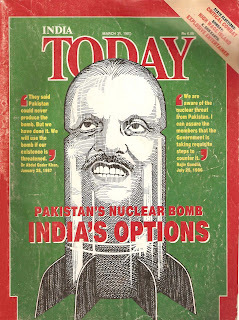 Except me and Rajeev Gandhi no one was aware that Zia-ul-Haq looking very happy and in light mood has created trouble for Indian PM by threatening him of nuclear war”. The standard of English in this article leaves no doubt about the capabilities of Fucki nuclear bombs.